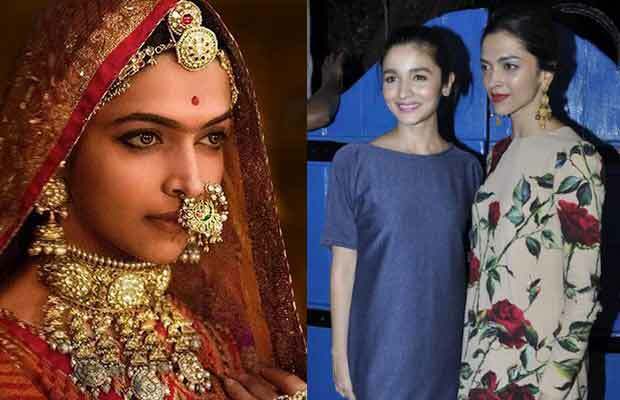 Alia Bhatt is all praise for Deepika Padukone’s fabulous portrayal of Padmavati in the trailer that has released. In a recent podcast that she was a part of with senior journalists Rajeev Masand and Anupama Chopra, the actress couldn’t stop praising Deepika Pedukone. Recently the first song of Padmavati, Ghoomar was released and people cannot stop raving about how correctly Deepika Padukone has picked up the folk dance and performed it with so much grace. Previous articleBigg Boss 11: Housemates Accuse Hina Khan, Here’s How She Reacted- Watch Video!